It took ASUS quite some time to release this particular product in our market but here it is: the Zenbook UX305 is about to make its debut in Malaysia shortly. First announced at IFA 2014 alongside the Eeebook X205, the Zenbook UX305 will be launched in Kuala Lumpur together with the new Transformer Book T300 Chi very shortly. For our market, it turns out that the Zenbook UX305 is available in two different specifications. With both models are equipped with full HD (1920 x 1080) IPS display, the first variant is powered by a 800 MHz Intel Core M-5Y10 dual-core processor and also features 4GB of RAM as well as 128GB solid state drive. As for the second variant, it is equipped with a 1.2GHz Intel Core M-5Y71 dual-core processor, 4GB of RAM, and 256GB solid stated drive. Available immediately in the market, these laptops are priced at RM 2,399 and RM 2,999 respectively. We expect more information will be released at the launch event shortly as the variant with QHD+ (3200 x 1800) IPS display is somehow not listed in this spec sheet. 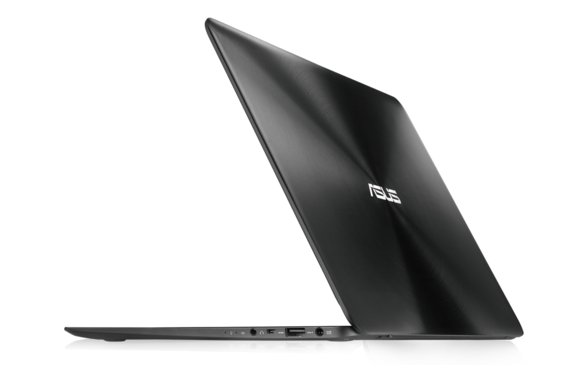 Meanwhile, do stay tuned for our hands on with the brand new ASUS Zenbook UX305 coming your way soon. 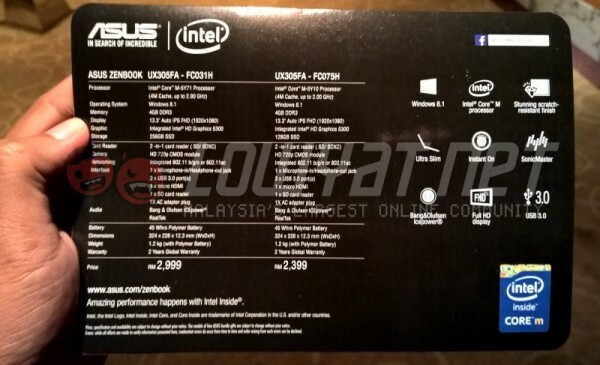 UPDATE (447 PM): ASUS Malaysia has also confirmed that the QHD+ version of ZenBook UX305 is expected to be available in our market within one or two months after the launch today. However, the price will only be revealed later on as we get closer to its release day.